“By playing in a band,” was my answer. Now, I am not suggesting that all web designers should run out and join a rock and roll band (although there is a glaring shortage of songs about the CSS box model). I do know, however, that many of the skills I honed while playing in a band have contributed to my success as a web designer — as much as, if not more than, my ability to write clean code or design an attractive web page. In this article, I’ll describe how being in a band taught me to be a better web designer. As a professional web designer, you are going to be required to speak in front of people. This includes clients and colleagues to whom you will need to present design concepts and explain your reasoning for the decisions you made in those concepts. If you’re afraid to speak in public, which many people are terrified of, then this is going to significantly limit your ability to communicate effectively in your job. Being the frontman for a rock band, I had plenty of chances to speak to audiences. 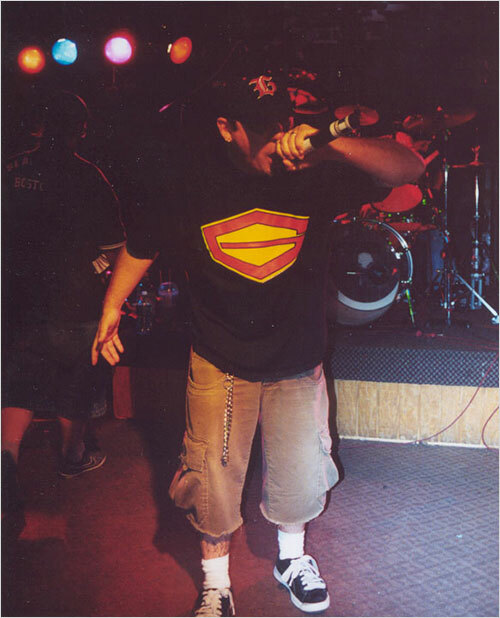 Many times I had to improvise and think on my feet if something went wrong on stage. This was perfect practice for presenting in front of clients and handling unexpected questions. Jeremy on stage making a connection with the audience. Being able to communicate clearly and confidently is one of the primary skills I look for when hiring web designers for my team. It’s also one of the skills ignored by many new web designers who are more focused on the technical aspects of the job. Short of becoming a frontman or -woman in a band, how can you sharpen your presentation skills? Many colleges and universities have classes in public speaking that you can enroll in, even if you are not a full-time student at the school. You can also seek out industry meet-ups that allow you to get some experience presenting in front of your peers, or you can join an organization like Toastmasters International, whose mission is to help create more confident public speakers. Throughout my career, my most consistent source for new customers has been referrals from existing clients. When I speak to those new clients, the number one reason for the referral has nothing to do with my grasp of responsive web design or some other piece of knowledge I possess — it is because I was enjoyable to work with and be around. This is something that also helped my band back when we were active. My band was not the greatest in the world — far from it, in fact. Still, we had a dedicated following who came to all our shows, in some cases traveling significant distances to do so. Those fans made the trip to see us because we tried to make our shows fun and enjoyable by always being personable with them. We genuinely appreciated the support of our fans, and that was obvious in how we treated them. Your clients are awesome. They keep you in business. By showing them your appreciation and by making sure that you do great work for them, while also making the process of engaging with you for that work enjoyable, you do your part to build long-term client relationships that will help fuel your future success. 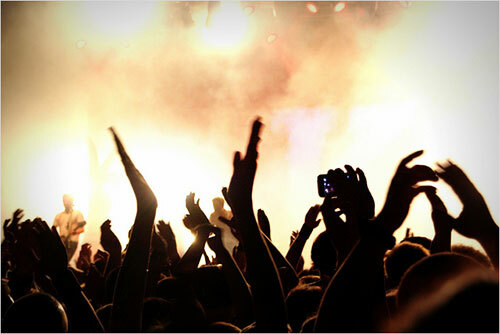 Whether you are rocking out onstage or presenting to clients in a conference room, you want to make an early connection with your audience. When my band would play shows, we would adjust our set list to the audience we were playing for. If a crowd was unfamiliar with our music, we would make sure to play a recognizable cover song early in that set to give the audience something they were familiar with right away. I now do the same thing in client presentations. Before I meet with a client, I try to first schedule a call to ask some questions and get some insight into what I am walking into. You’d be amazed at the kind of inside information you can find out on these calls, including what is most important to that company. I can then use that information to tailor my presentation to address those important topics early on and make that all-important connection. Different set lists for different shows is something every band uses. Similarly, learning how to prepare different presentations and approaches for different clients will allow you to hit the right notes in those conversations. My time playing in the band coincided with the early years of my career as a web designer. 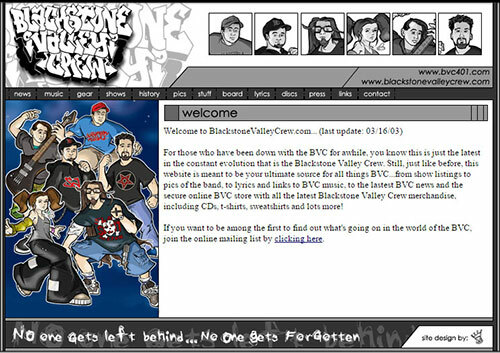 By default, I became my band’s webmaster and was responsible for designing, developing and also maintaining the various versions of the band’s site over the years. The practice I got doing this allowed me to try new things and experiment in ways that I was unable to with my client work at the time. Those experiments and practice taught me so much, helping me to grow as a web designer and eventually bring new skills back to the office and into my client work. Even if you are a seasoned web professional, side projects and work outside of your normal client responsibilities can play an important role in your career. Look at Dan Cederholm and what he helped to create with Dribbble or Elliot Jay Stocks and his 8 Faces publication. Side projects can not only give you a reprieve from your normal work, but in some cases those projects can become so fulfilling and successful, that they can become your normal work! Even if a side project does not become a smashing success for you, the ability to challenge yourself in ways that would be inappropriate for paid client work is undeniably beneficial to you, regardless of what stage you are at in your web design career. 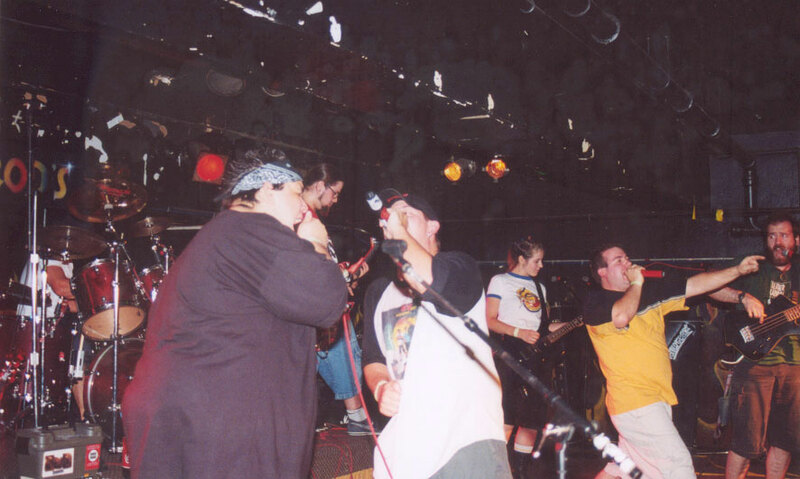 Many of the shows our band played, especially early on, were through friendships we had with people in other bands. Those bands would add us to the bill, giving us a chance to get some experience on stage and begin to build our own following of fans. In web design, this equates to the benefit of befriending other web designers and agencies. If you work as a freelance web designer, making friends with other agencies can be a great source of work for you as those agencies may sometimes need to bring in extra help to handle certain projects. Agency-to-agency relationships can also be greatly beneficial to all involved. Web design is an incredibly multifaceted profession, and there may be certain aspects of the job that your agency does not excel at. By partnering with other companies whose strengths complement your own, you can provide a more complete set of solutions to your clients and take on projects that you may otherwise have had to turn down. Success in web design is often a group effort. While there are certainly lone designers who do the work all on their own (just like there are solo artists who play every instrument on their albums), learning to work with a team is a critical skill for many web professionals. 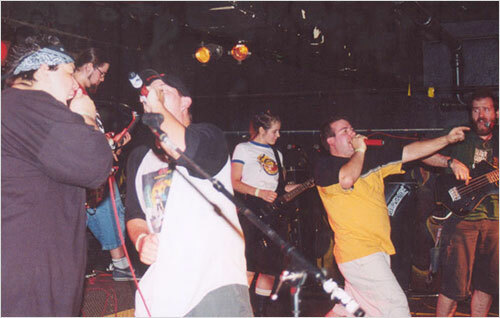 The band and friends rocking out on stage in 2003 and making music as a team. Working well with others is not always easy. In a band, each member will have different opinions as to how a song should go, but if you do not work together and find ways to integrate those different points of view, then there can be no harmony. The same holds true in a web design setting. Designers, developers, content writers, project managers, and other team members must all work together towards a common goal: to create an amazing website. The ability to speak clearly and confidently in public. A lesson in how being enjoyable to be around makes people want to be around you (this works for both rock band fans and web design clients). The importance of tailoring your set list (or your presentation) to make an early connection with your audience. How side projects, and the chance to practice and experiment outside of your normal client work, can help you grow as a web professional. How making friends with other web designers and agencies can help you get better work, in the same way that making friends with other bands can help you land better gigs. That success is a team effort, and to truly make great music (or websites) together, you need to learn to play as a group and not as a solo act.